Most of the motorcycles we feature here are beyond the realms of the average rider (self included). So it’s good to occasionally drop a ‘real world’ bike into the mix—a machine that could be bought secondhand for a reasonable price, and remain a daily driver while being progressively customized. 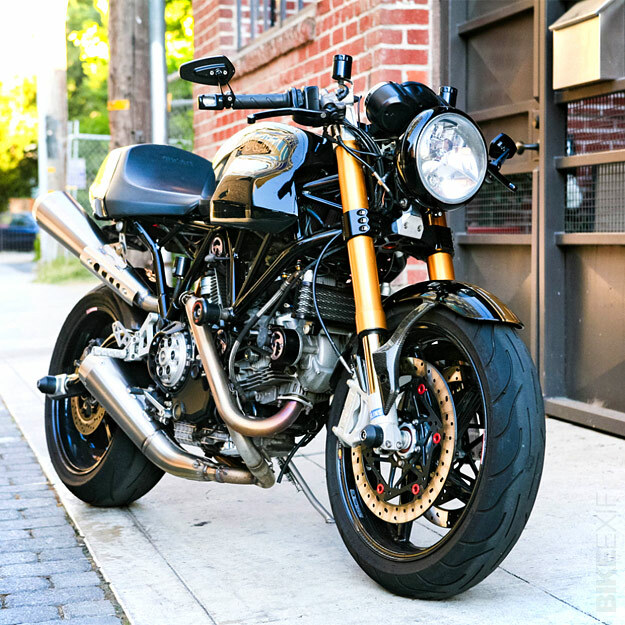 This 2006 Ducati Sport 1000 is a good example, and was built by MotoWheels in California. 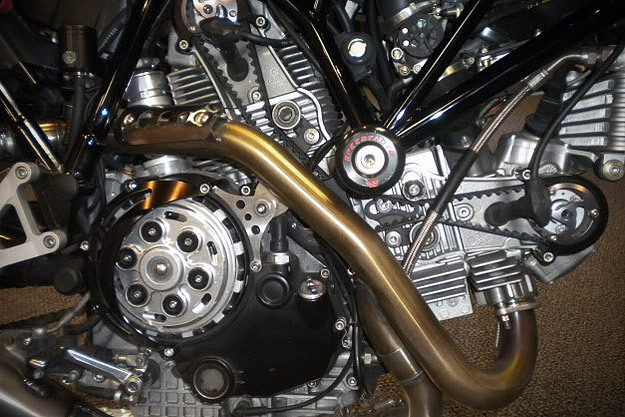 To boost performance, a ZARD full titanium exhaust system was fitted and the stock airbox was ditched for a set of velocity stacks with K&N air filters. “This bike is amazing to ride,” reports Matt. “Ducatis always have a unique sound, but this thing is totally different. 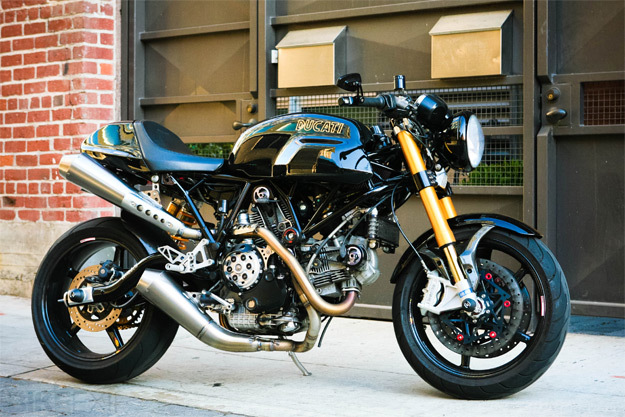 The lightweight wheels transform this bike and it handles amazingly well.” A little custom paint tops it all off, although I’d be surprised if anyone can tear their eyes away from that beautiful exhaust piping.